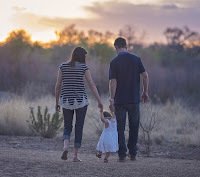 Among the various life policies that we can hire, the so-called Whole Life Insurance are the ones that best respond to the need to offer an economic coverage to the relatives or relatives of the insured person in case of death. This type of policies have some advantages that make these one of the most popular insurance products that are marketed as Personal Insurance. As in the rest of Life Insurance, these policies indemnify the beneficiaries that are established in the policy with the insured capital, in order to compensate for the loss of the income obtained before the death of the insured. This money can also be used by the heirs to cover the expenses involved in the procedures for transferring assets and paying the debts owed by the insured. The main characteristic of Whole Life Insurance is that death coverage does not have a definite term, since this policy covers the death of the insured person regardless of when it occurs. No matter when it happens, the insurer is obliged to pay the insured capital to the beneficiaries at the time of the accident. In addition, the insured capital can be paid in the form of a life annuity or capital. On the other hand, this form of Life Insurance offers several alternatives to make the payment of the premium, which facilitates its contracting. In addition, many Whole Life Insurance allow add additional guarantees that increase the insured's protection in cases of permanent and absolute disability. coverage extends until the death of the insured, occurs when it occurs and whatever the cause. This feature makes it a very attractive insurance product for those who want the economic protection offered to beneficiaries to be available at any time. In this modality, the policyholder pays periodically the policy fees, until the death of the insured occurs. In the Whole Life Insurance of this modality, the premiums are paid for a specific period, for example 20 or 30 years, although the coverage of the Insurance extends until the covered loss that is the death occurs. One thing that we have to take into account in this type of policies is that, as the occurrence of the death is the same and the payment period of premiums is lower, the premiums will be higher than those of Life insurance. The Whole Life Insurance exists the right of rescue. This right refers to the possibility of rescinding the contracted insurance contract and "rescuing" part of the capital already contributed. In this way, the policyholder stops paying the premiums and receives in cash a money that is determined by the mathematical provision (resources accumulated by the insurer to guarantee the payment of compensation), commissions and expenses not amortized. In Spain, the rescue of Life Insurance is a right of the policyholder, which can be exercised as long as the premiums corresponding to the first 2 annuities have been paid. However, it is important to check if a Life Insurance that we want to hire maintains this right in its condition or includes clauses that modify it in some way. On the other hand, our policy may include the right to rehabilitation of the Insurance . It is related to the rescue, since it allows to resume the initial conditions of the policy, if the premiums that should have been paid have been paid if the first contract was still active. In Whole Life Insurance we can find various formulas that help the policyholder to keep the policy in force at certain times that, for whatever reasons, can not continue to pay insurance premiums. One of them is the reduction of the Insurance, which consists of the right that the policyholder has to partially terminate the contract of the policy, from the first 2 years after its signature. This right allows you to stop paying the premium, although the Insurance is maintained with reduced benefits. If the decision is to pay a lower premium, the compensation will be reduced proportionally, but insurance is not canceled. In Whole Life Insurance there is a way to respond to the possibility that the insured need part of the money invested in this protection. It is the advance of the policy , which is really a loan that the insured can have at the expense of the insured capital and whose amount can not exceed the redemption value. The advantage of the advance is that the policy holder has the right to receive it in cash once requested, as long as he has paid the first 2 annuities. It is money that we have at hand and that can come very well at a certain time. Of course, it is advisable to be well informed on how the advance works in each policy, since this loan accrues an interest that the insurer can charge us in the following premium payments. As we can see, there are several things that we have to take into account when hiring a Whole Life Insurance. In addition to the advantages presented by this type of policy, we can generally include additional guarantees to the life policy that increase the coverage of the policy, as appropriate.